William Beardmore became a partner in the business in the 1860s and was joined by his son William Jr, who founded William Beardmore & Co. 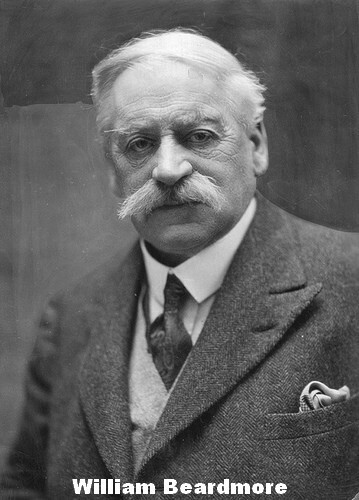 In 1886. 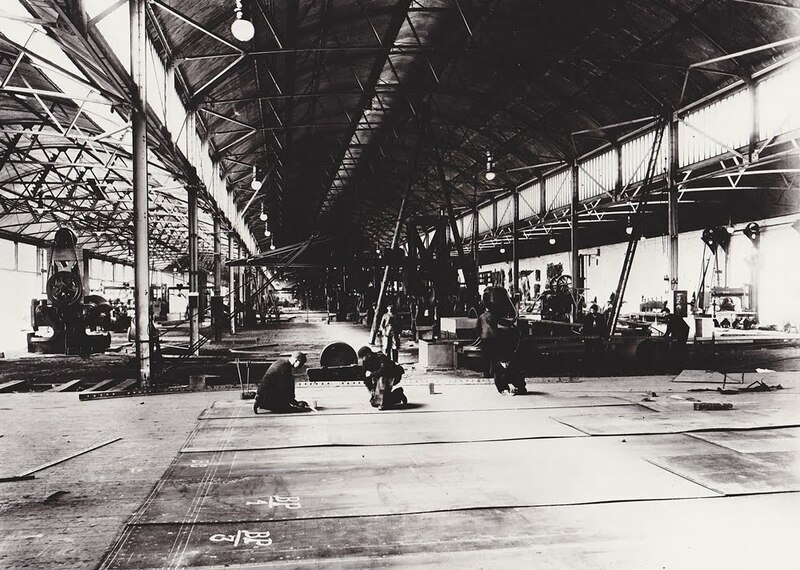 By 1896 the works covered an area of 25 acres and was the largest steel works in Scotland. It specialized in the manufacture of armaments and armour plate for warships. The works were extended in 1904 with the addition of a heat treatment plant known as The Cathedral, which was 110ft high with 30ft deep pits at ground level. 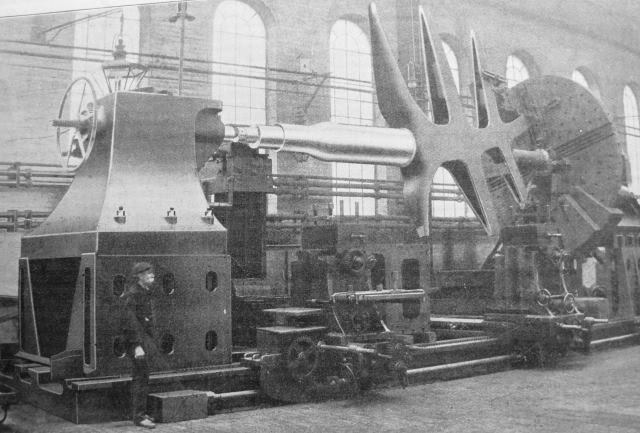 This enabled the fabrication of guns for the Royal Navy, ships such as HMS Hood and HMS Repulse. William Beardmore and Co employed over 40,000 workers, and during the First World War had a weekly wage bill for £125,000. 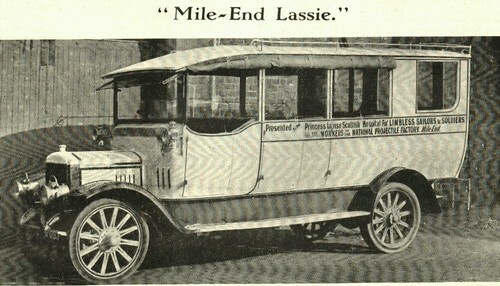 The company had premises throughout Scotland with facilities at Mossend, Dalmuir, Inchinnin and Paisley; they also had interest in shipbuilding, locomotives, aircraft, motor vehicles, and munitions. 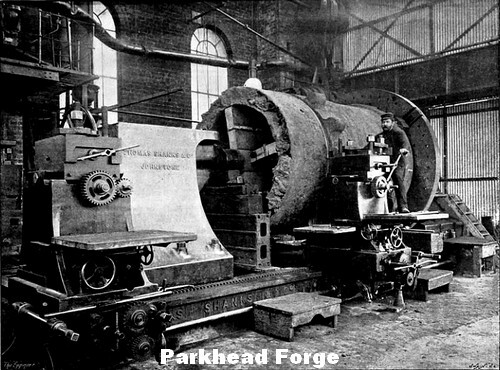 Parkhead Forge was a major employer in the East End, the number of workers reaching a peak of over 20,000 during the First World War As well as providing employment for a large number of people Beardmore also encouraged a great social and welfare spirit among its workers establishing the Beardmore Cadets for its young apprentices. Parkhead Forge also had an award winning brass band, rifle range, choir, swimming club, Quoiting club and a dramatic society all run for the benefit of its workforce. Production slumped during the 1920s and 1930s, but had a brief revival during the Second World War before trailing off again as the world wide demand for warships and armaments declined. Parkhead Forge finally closed in 1976, and later in 1988 the Forge shopping centre was opened on the site. The contribution made by William Beardmore & Co. during the First World War has been well documented. 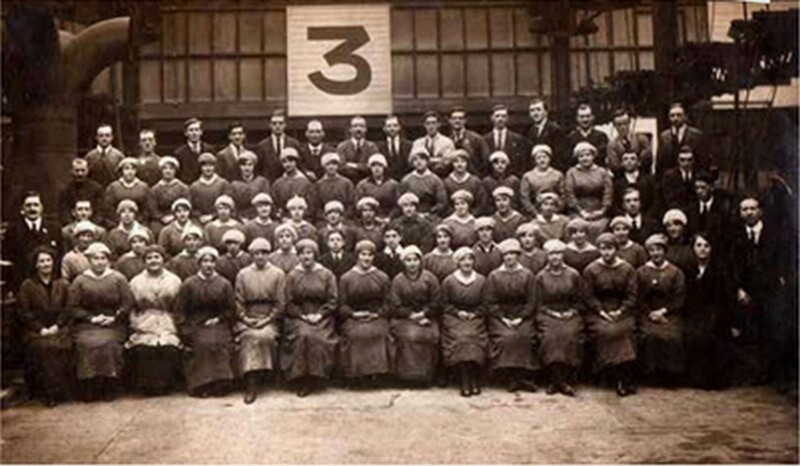 Perhaps less well known was the company’s approach to the welfare of its employees, as during the Great War staff numbers, throughout all the various sites controlled by Beardmore, there were 40,000 workers and a weekly wage bill of £125,000. Beardmore encouraged a culture where workers could enjoy sport, leisure, creative and recreational activities promoted and encouraged by the company. A valuable insight into the extent of staff engagement comes in the form of the company newspaper. The first edition which was published on 4th September 1917 was called The Forge, and centred on staff activity at Parkhead Forge. 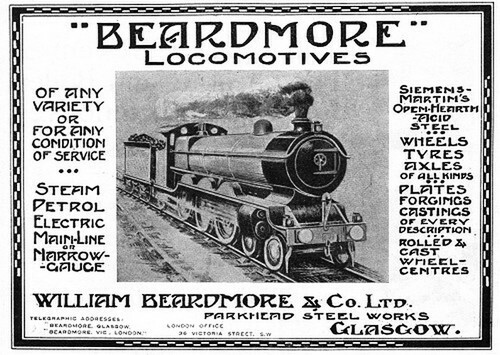 Subsequent editions were named the Beardmore News as it now covered all the company’s locations which included various other works in Glasgow as well as Inchinnan, Dalmuir, Mossend, Airdrie, Coatbridge, Paisley and Dumfries. Not surprisingly the most popular extra-curricular activity for workers was football, which by the time of the First World War was ingrained in the male culture in Scotland. 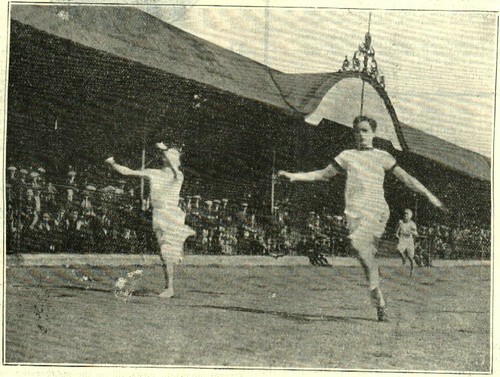 Beardmore had teams playing between the various parts of the works, inter works games among all the Beardmore locations, and matches against teams from othe r factories. The opening match on their own ground Kinnear Park of the Boys’ Welfare Team took place on Saturday 15th, versus Alley & Mclellans, and resulted in a victory for Beardmore’s by 2 goals to 1, thus maintaining their unbeaten certificate in the Apprentices League’. 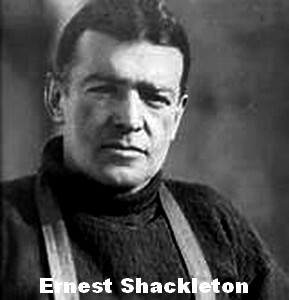 A Football Committee was established to administer fixtures and other matters. In November 1918 they invited applications to join the Beardmore Football League with interest expressed from Parkhead, Dalmuir, Paisley and Mossend, as well as from the associated companies of Duncan Stewart & Co. from Bridgeton and Alley & McLellans at Polmadie. There is a report in the 13th August 1919 edition of the Beardmore News of a Grand Football Tournament at Helenslea Park. Applicants had to provide details of the name of the club, their playing colours and the ground they intended using for home fixtures. On Saturday 1st June 1918 a Grand Five-a-Side Football Tournament was arranged at Celtic Park, with teams being sent from Rangers, Celtic, Third Lanark, Clyde, Queen’s park and Partick Thistle. 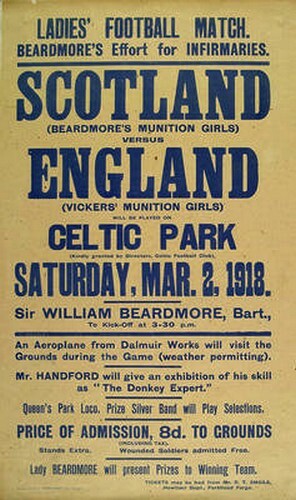 This perhaps emphasises the regard in which Beardmore’s was held in Glasgow sporting circles. 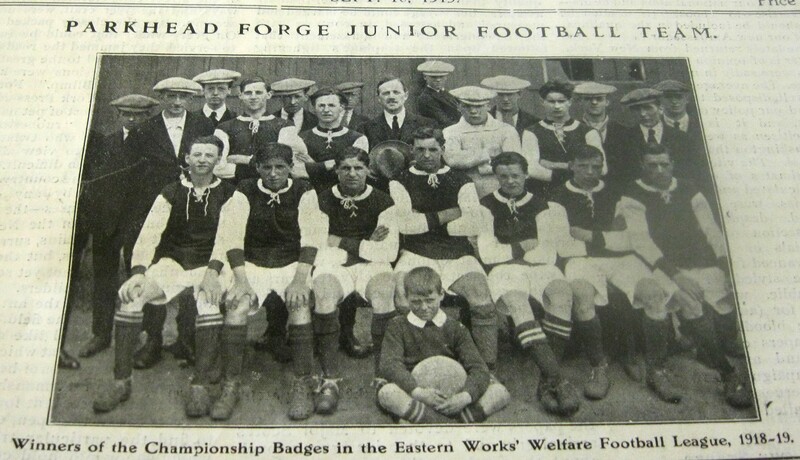 The football must have been to a reasonable standard as the Parkhead Forge Junior s played in those ranks in 1920 to 1921. 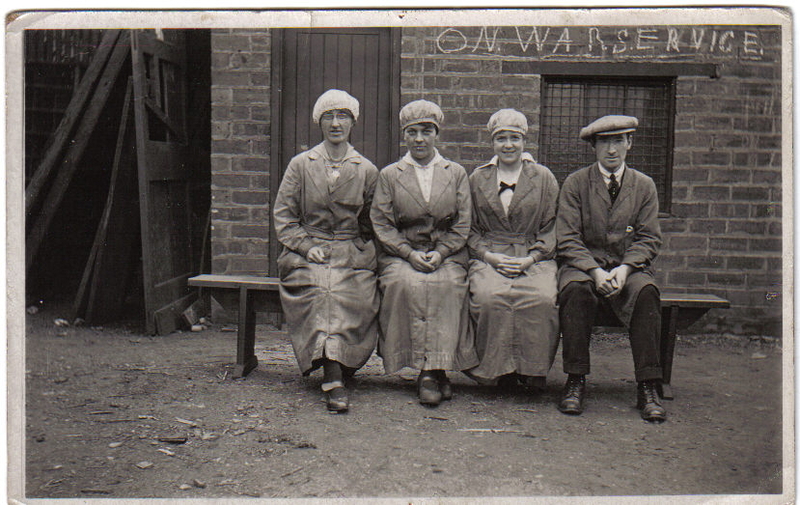 During the First World War the ranks of the Beardmore workforce were swollen by women, who were drafted in to support the war effort. One of the football teams under the Beardmore umbrella was the works side from motor vehicle manufacturers Arrol Johnston at Dumfries, and in 1919 they merged with two other teams, Dumfries F C and the 5th Kirkcudbrightshire Rifle Volunteers F C, and they went on to form Queen of the South F C.
Celtic Park was a favoured venue for sporting activities by Beardmore’s, when they held an International Sports day on Saturday 28th September 1918 with around 15,000 spectators in attendance. The previous month an Inter Works Athletics Sports event was held at the same venue. The Beardmore’s Celtic Park Sports Day was held on 8th September 1917, and the programme provides an insight into the activities of the day, which included running, sprinting, five-a-side football, bicycle racing, and boxing. For the female members of the workforce, they were invited to participate in a skipping rope race, and a dancing event for 14 years and under was held, with Highland Fling, Sword Dance and Irish Jig the competitive disciplines, replicating Parkhead’s very own Highland Games. Sports and gala days were not confined to Parkhead, with the Mossend works in Lanarkshire holding their version at Belziehill Farm. Dalmuir works also had their own version. Many of the workforce at Parkhead Forge and the other east end sites acquired during World War 1, lived in the grimy tenements of the district, and very few, if any, would have had baths in their houses. At the forge the ‘Walrus Swimming Club’ was founded, with Whitevale Baths being used as the chosen location. Bowling was a popular sport of the time and still is, and Beardmore had many employees who wanted to enjoy this particular pursuit. The bowling section of the Mile End Works, arranged an outing to Crosshill in August 1918. Parkhead and Dalmuir met at Nitshill for a competition on 25th June 1919. These are just a couple of examples of bowling activity reported in the Beardmore News. Parkhead Forge Golf Club had an outing to Blackhill Links on 7th June 1919, whilst a few days later on the 11th the Dalmuir works organised a golf match at Northfield, Vale of Leven. On the 26th March in 1919 a quoiting club was opened at Parkhead by local councillor David Willox, but unfortunately its location was not reported in the Beardmore News. There was a thriving cricket club was founded in 1914 at the Dalmuir Works, and in the early summer of 1919 it was proposed that Parkhead Forge have a cricket section, but this failed to receive enough support to be established. Perhaps the east end workers didn’t view cricket as a suitable pastime. 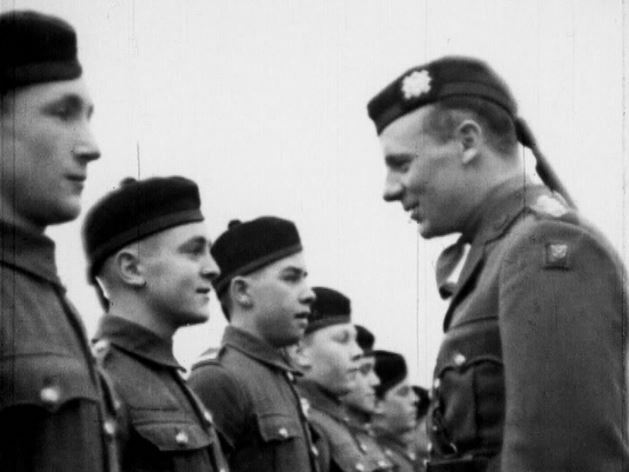 For the young apprentices within the Beardmore organisation the 1st Beardmore Cadet Battalion were established at Parkhead, and were structured on the lines of the Territorial Army. They wore military uniforms including the kilt, and replicated an army battalion. A rifle range for target practice was installed at Parkhead Forge, and trained at a summer camp at Lochgilphead. They had a military band, and a newsreel exists of them playing at Helenvale Park after the First World War. 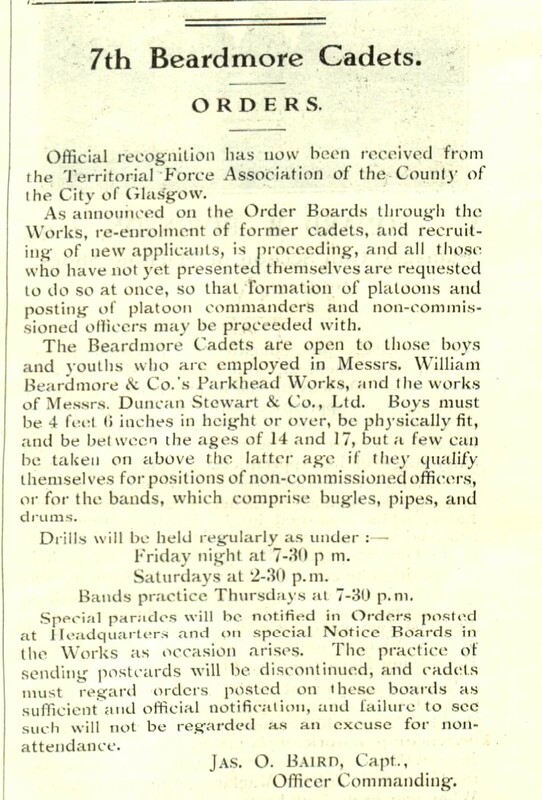 At the Dalmuir Works a Naval Cadet section was formed and the ‘Beardmore’s Own’ was a Boy Scout alternative for young workers. For the non sporting and non military members of the workforce there were other options. At Parkhead Public Halls a lecture was held in February 1918 entitled ‘The Building of a Battleship’ informing the audience of the activities of the company at their Dalmuir shipyard. This would have been of particular interest to many working at Parkhead Forge as they would have made the armour plate used in warship building with their own hands. 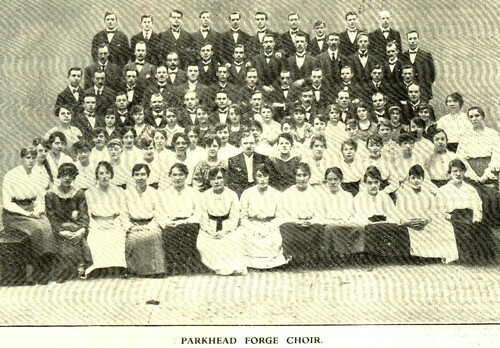 In the tradition of the coal industry, Parkhead Forge had its own Silver Band, who participated in a Challenge Shield (sponsored by Beardmore’s) held at the Cattle Market on Gallowgate in April 1919. They also played in many local events including an appearance at Helenslea Football Ground. 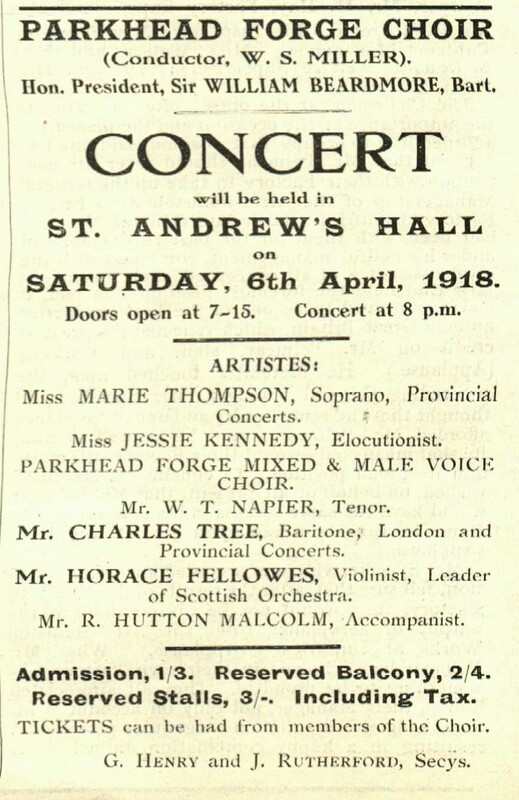 The Parkhead Forge Choir appears to have been performing to a decent standard as they entertained an audience at St Andrew’s Hall on Saturday 6th April 1918. 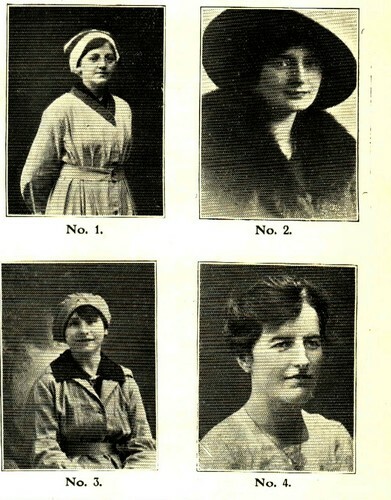 Most editions of the Bearmore News carried a feature called the ‘Great Beauty Competition’ which carried photos of female members of the workforce. It was effectively a talent contest, with a portrait photograph of the young woman and a number. No details of their names or work locations were published, presumably to stop voting bias. It is very unlikely, if not impossible for such a competition to appear in a modern works publication. Available to the workforce at Parkhead was a ‘Suggestion Scheme’ but nothing is reported as to its success or otherwise. The Beardmore News also featured Engineering Questions which is a clear attempt by Beardmore to promote further education and learning. Sketch Competitions, Whist Drives and works outings to Clyde Coast locations are widely reported in the Beardmore News. A workers bank existed at Parkhead as well as an Ambulance Section where workers could learn first aid skills. 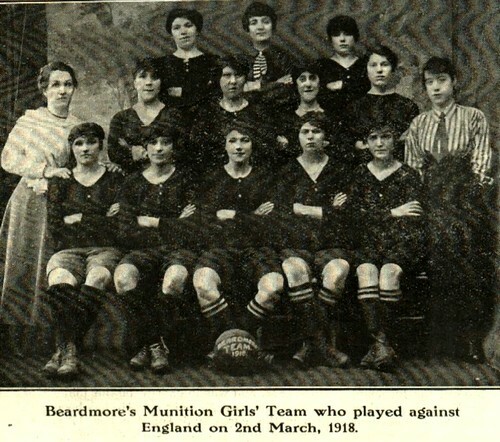 The Beardmore News provides a unique insight into the welfare culture that existed within the organisation, promoting sport, recreation and fund raising amongst the workforce. It was also true to the principles of journalism, reporting news from many of the individual Beardmore locations throughout Scotland, as well as the events of the First World War at the time. Its usefulness as a propaganda tool was not missed by the editorial team. The Beardmore News is arguably the best works newspaper ever produced in Great Britain.